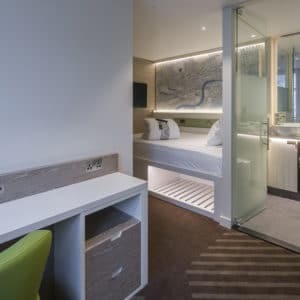 Apex Contractors instructed Konix to complete all tiling works to 168 guest rooms, and stone restoration & tiling works to the main entrance, for Premier Inn Hub. 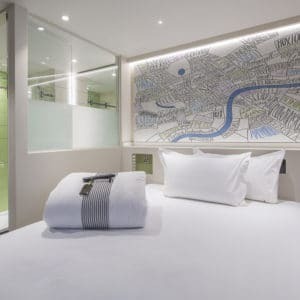 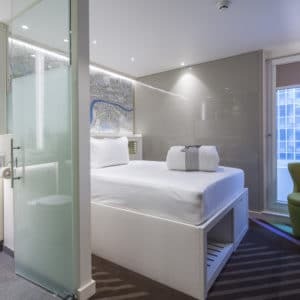 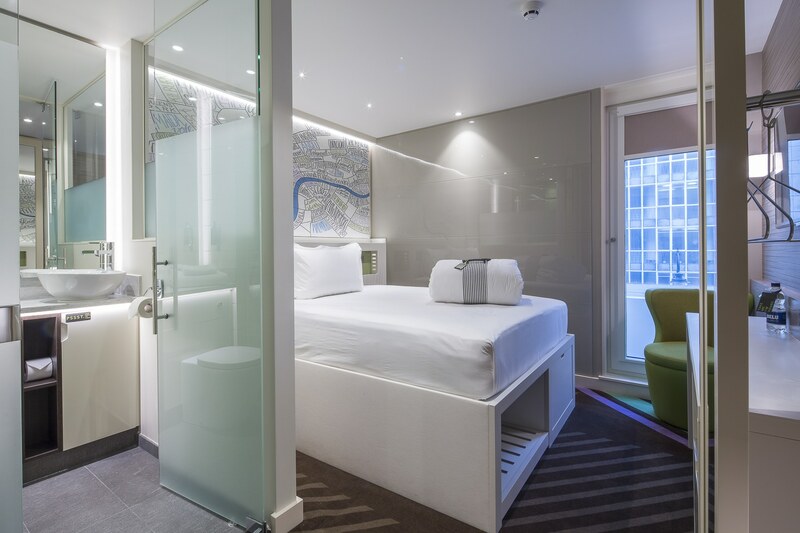 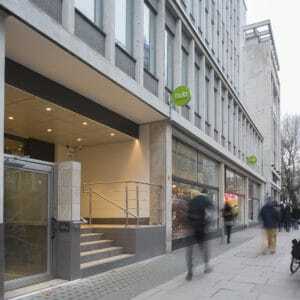 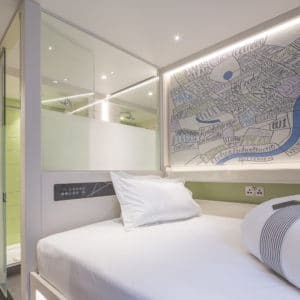 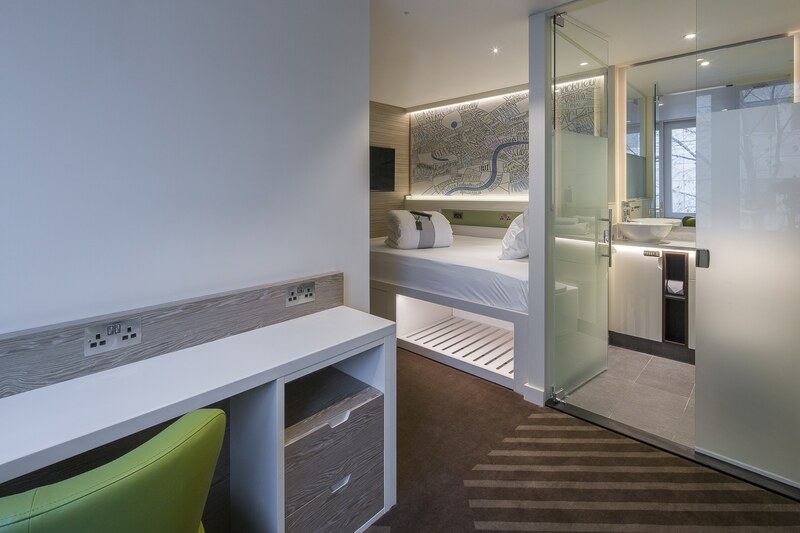 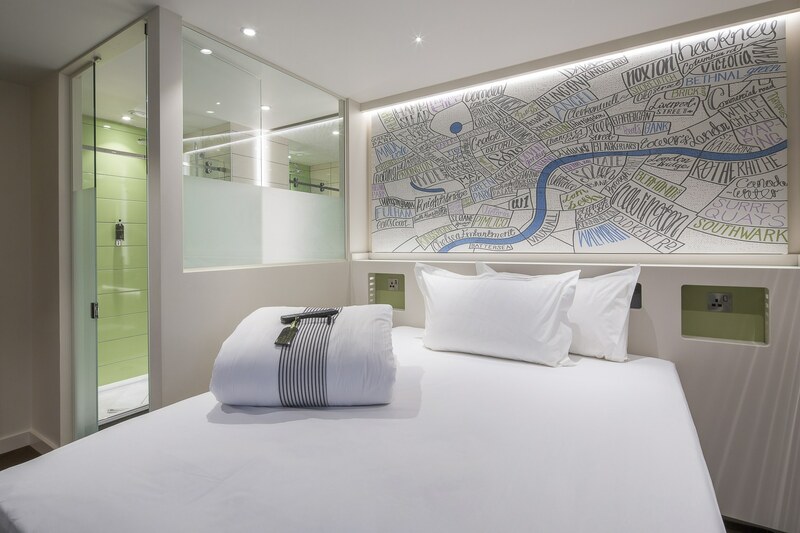 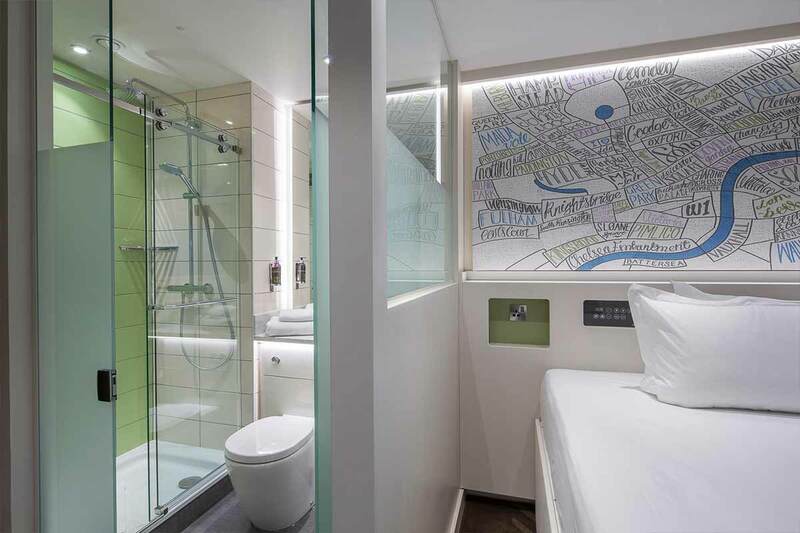 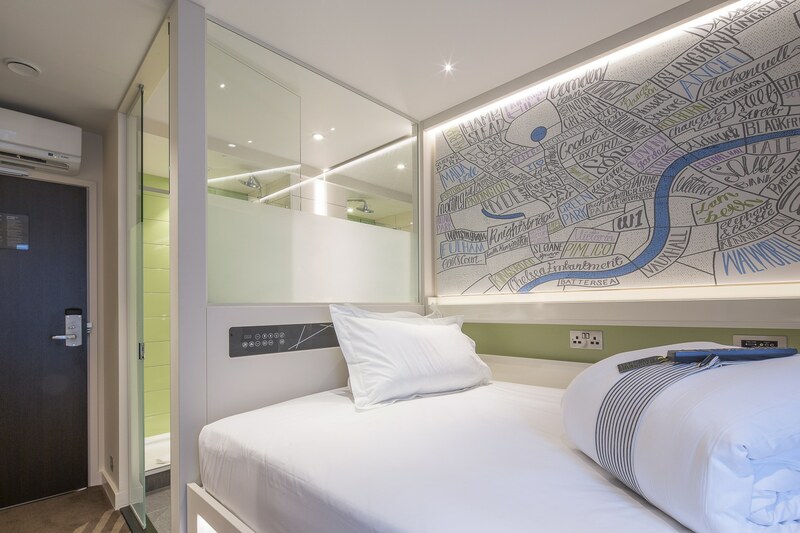 Hub by Premier Inn is a new compact hotel chain designed to offer a smart, stylish, great value stay in the best city centre locations. 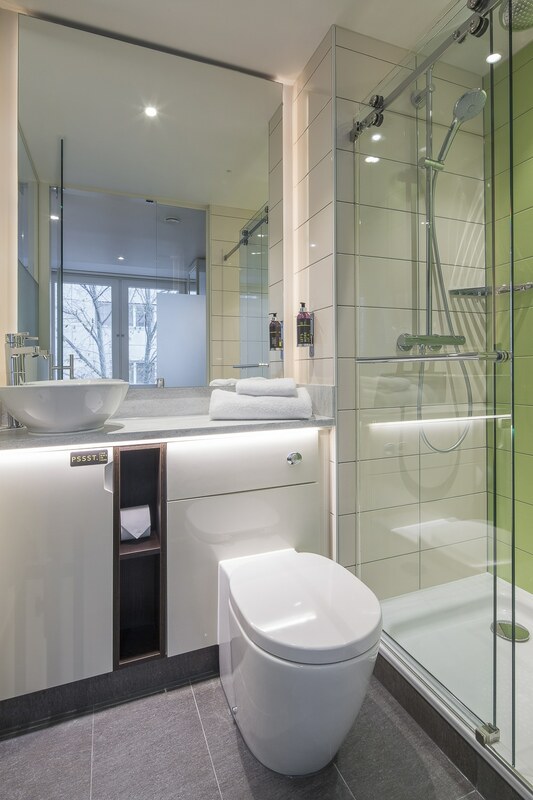 Apex Contractors provide professional refurbishment and fit out services to Commercial, Health, Residential, Education, and Leisure sectors. 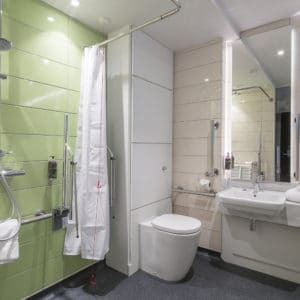 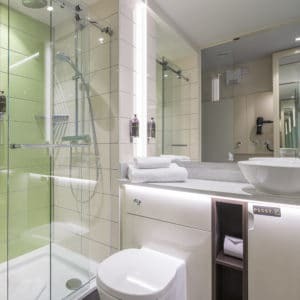 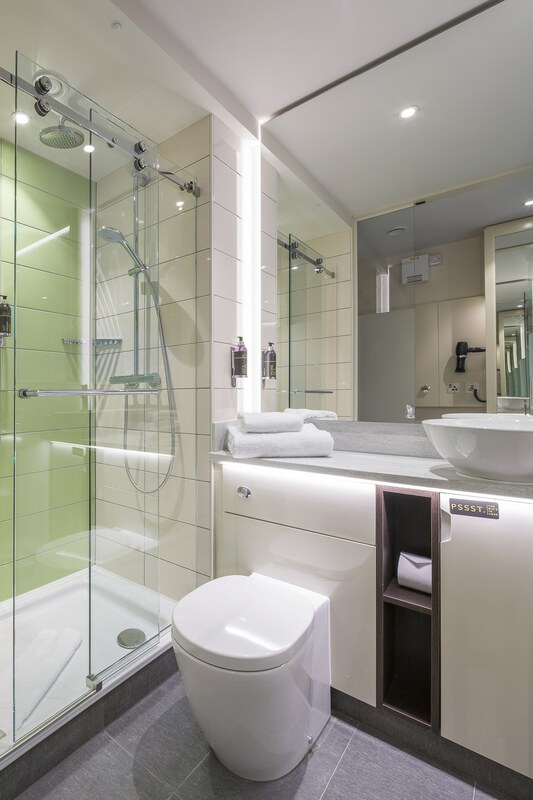 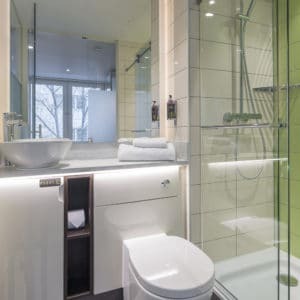 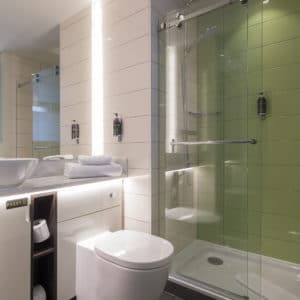 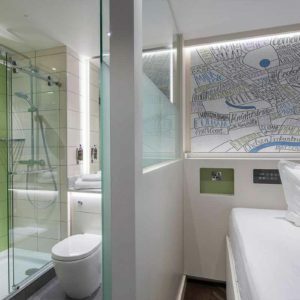 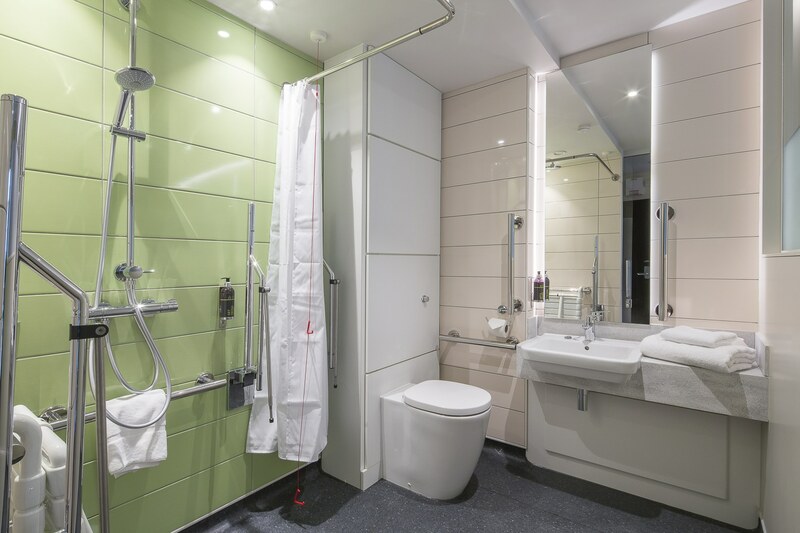 Konix supplied and fitted tiling to all guest bathrooms including walls, feature walls, and anti-slip tiles to floors. 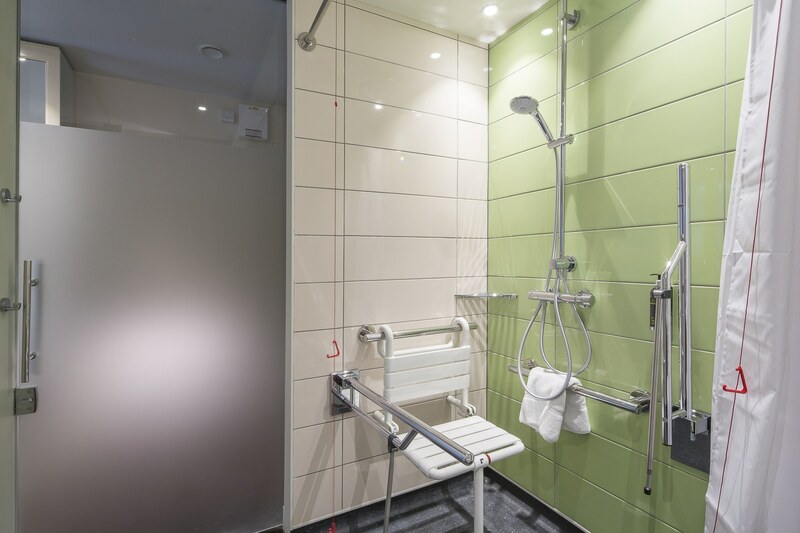 Konix also performed numerous strip out repairs to previous tiling works. 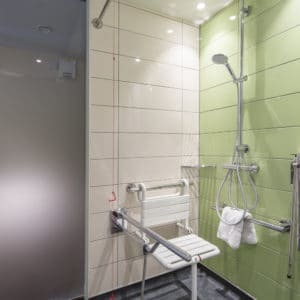 Konix supplied and fitted tiling to all guest disabled bathrooms including walls, feature walls, and tile to vinyl trims for vinyl flooring. 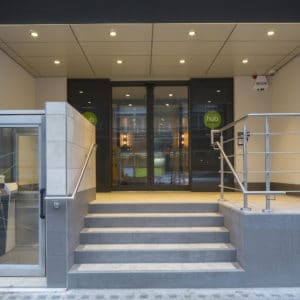 Konix supplied and fitted slip rated tiles in a two tone design to the main steps and entrance. 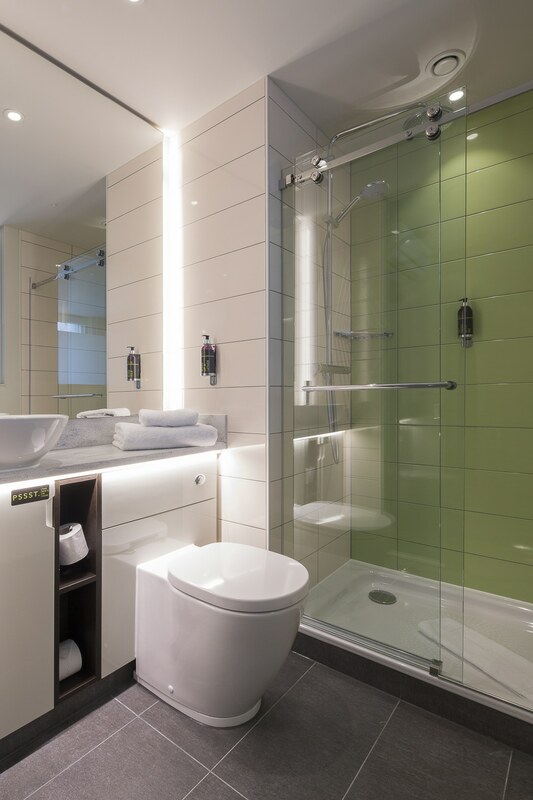 Using mitred bullnose cuts Konix created a seamless transition between vertical, horizontal, and corner finishes. 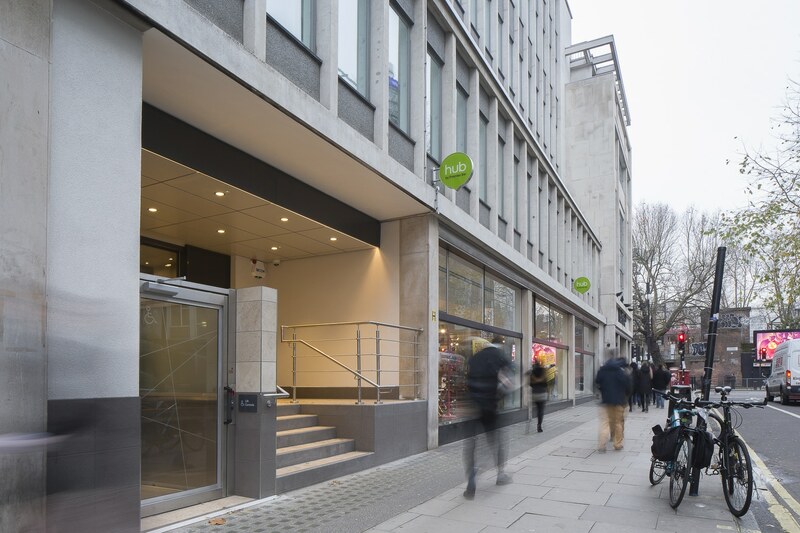 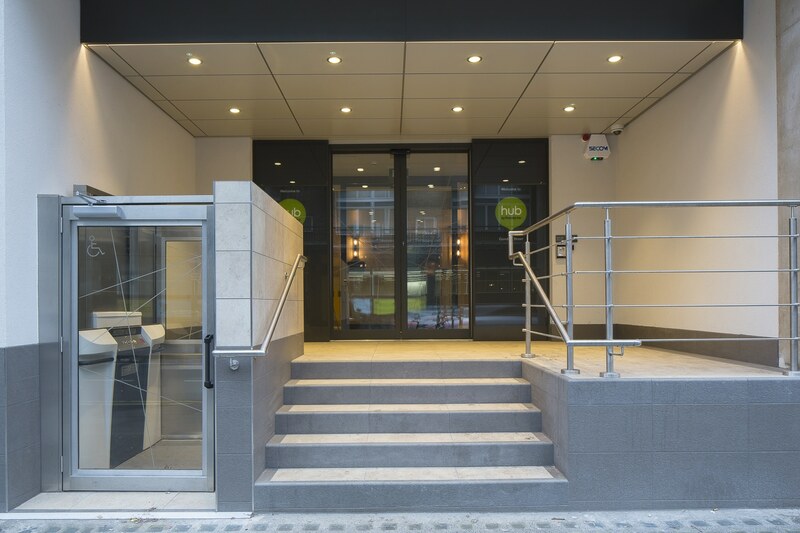 Due to the age of the building, Konix repaired and restored the stone facade giving the frontage a cleaner and fresher appearance to match the new entrance works.